I have been scared of Black men for no reason. I have thought that affirmative action hurts White people. I have thought that racism means overt violence or discrimination and that, therefore, I am not racist. I have thought that I can't be racist because I have Black friends. I have used Black colloquialisms when I want to be "sassy." I have made negative assumptions about people from pretty much every ethnic or racial background. For too long, I was blissfully unaware of the breathtaking inequalities in access to things like education, healthcare, housing, fair treatment under the law, basic dignity. It is embarrassing to type this out, but it needs to be said. I have spent nearly 15 years unlearning things that I thought were true about history and about myself. And I'm still working on it. 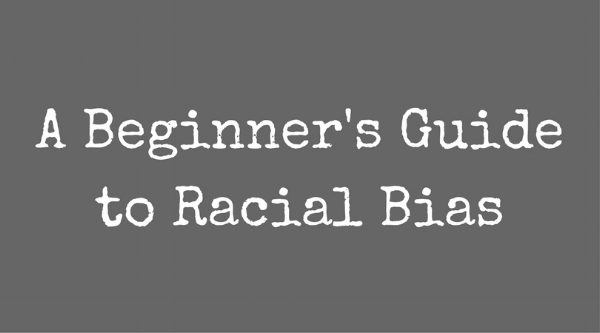 That's why, if you want to learn about racial bias, I think I can be a good resource. I've been through the unlearning process myself. So, if you're interested in learning more, or in teaching your kids differently so that they don't have to unlearn it, let's chat. I have so many articles saved that I've found personally helpful. If you were surprised to see the bold, violent, unmasked faces of White Supremacy on full display in Charlottesville, let's talk, let's learn together, and let's get to work. After several people contacted me about resources, I figured it might be helpful to compile a list. About three years ago, I realized I could "save" articles on Facebook, so I scrolled back through everything I had saved, and there were over 60 articles on race. Here they are. And here's your challenge: Scroll through and read the titles. Select 5 to read. Think about them for a few days. And then talk to somebody about them. The process of unlearning commonly held "truths" and coming to terms with our biases is long and slow, but absolutely critical. People's lives depend on it. 1. This is meant for White people. PoC know the data and stories in these articles all too well. 2. I couldn't access any of the articles I had saved from the Washington Post because you have to pay now. There were some good ones. 3. This is NOT an exhaustive resource. It is a sampling of what one person has found helpful. There are many other resources out there if you want to delve deeper. 4. The articles in this list are the ones that most clearly pertained to race, and, in particular, to White people's perceptions of Black people. 5. The articles are not organized or listed in any particular order. The tyranny of a traffic ticket: How small crimes turn fatal for poor, minority Americans. Children’s books featuring kids of color being themselves. Because that’s enough. Is silence on social media an expression of privilege? Something more is required of us now. What? Fall Update: 501(c)3, t-shirts, and more!